The Prairie Falcons are back at the state volleyball tournament because, well, of course they are back. This is what they do, now eight years in a row. 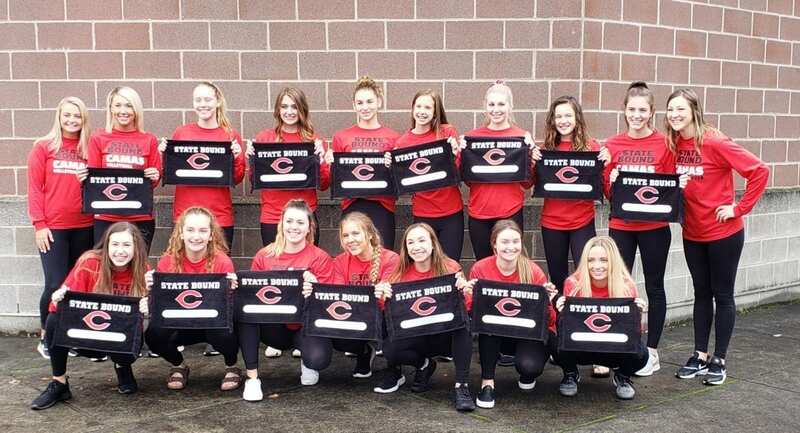 The Camas Papermakers are returning to state for the first time since 2014. And then you have the Mountain View Thunder, going for the first time in more than any player’s lifetime. The last time the Thunder made it to state volleyball? 1993. The Class 4A state tournament begins early in the morning Friday at the Yakima Valley SunDome. Camas plays Issaquah at 8 a.m. The Class 3A state tournament will get started in the afternoon. Prairie is facing Oak Harbor at 1:30 p.m., and Mountain View will play Lakeside, also at 1:30 p.m. Interesting, if the Falcons and Thunder both win (or both lose) their first-round matches, they will play each other in the quarterfinals (or the consolation bracket). 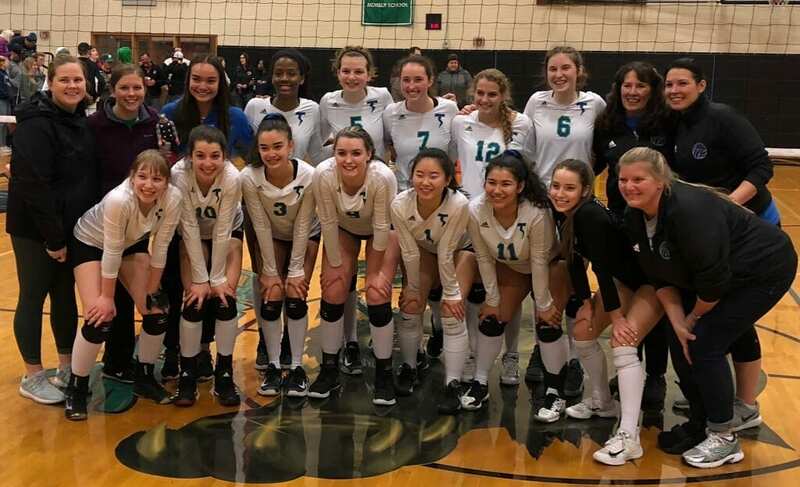 Here are some notes on how these teams made it to the final weekend of the big school volleyball season. The Falcons love the status of being Falcons. Going to state seven consecutive seasons heading into this campaign, they know they are the favorites from Southwest Washington. They know everyone is coming for them. “It makes us better,” Katie Vroman said. “It’s makes us play with confidence,” Lainne Wilkins added. “Everyone has faith in us that we can win,” Molly Packer said. Prairie was cruising for most of the season, winning its first nine matches before a five-set loss to 4A Skyview. Later, the Falcons lost to Mountain View and had to share the 3A Greater St. Helens League title. Prairie got things going again, winning the seeding match with the Thunder and then won the first two matches at bi-district to clinch a trip to state. “You definitely need to lose to keep winning,” Vroman said. Prairie was back, ready to take on all challenges, and get back to state. This season, bi-district was a two-weekend event. Teams that won the first two matches in the first weekend knew they were going to state. That’s what Prairie did. Parker said it was a lot of fun playing the final weekend in a stress-free environment. Now the Falcons have one more goal. “Win state,” Vroman and Wilkins said at the same time. “This is our last shot,” Vroman said of the seniors. The Thunder had no doubt, even if the odds were stacked against them. After winning a share of the 3A Greater St. Helens League and earning the No. 2 seed from the league, the Thunder went 1-1 on the first day of bi-district. That meant they had to come back a week later and win three in a row in a single day just to make state. Mountain View beat Spanaway Lake, then Lakes, and Peninsula in the final elimination match of the day. 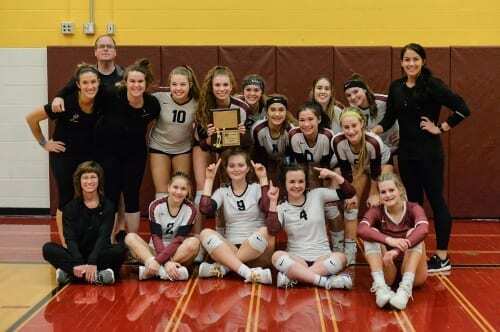 For the first time since 1993, Mountain View will be at the state volleyball tournament. The Thunder have never placed at state. The Papermakers tied for a Class 4A Greater St. Helens League title but got the No. 2 seed to bi-district. That’s exactly what they did at the bi-district tournament. Camas won the first two matches, qualified for state, then just enjoyed the rest of the tournament. After winning the first match, the team had a break, and they used that time to get motivated. The Papermakers, always a strong program from the 4A GSHL, know all too well how tough the bi-district can be in this sport. They had not made it to state since 2013. Naturally, the Papermakers want to bring home a trophy from Yakima. They also want to make sure they leave it all on the courts there.